Betsoft online slots - Play pokie games for free or real money! BetSoft Gaming is a reputable iGaming software supplier best known for paving the way for innovative 3D cinematic slots, now widely popular throughout the industry. If you’re a regular of online casinos or a fan of 3D slots, you’ve probably already come across at least one BetSoft Gaming release. Their commitment to engage players and supply visually astounding games makes them leaders in this field. ToGo, Expandicon, Slots3 and Poker3 are all brands under the umbrella of BetSoft that regularly partners with bigger companies such as Amaya, 126bet, MicroGame S.p.A., Tipexbet, to further their excellence in the iGaming industry. Online gaming modules provided by BetSoft are easy to integrate and offer complete solutions to casino operators. Modules are customised to operator’s requirements and easily integrated with pre-existing systems. The proprietary Casino Manager is at the heart of BetSoft’s extensive suite of games allowing operators to streamline casino related operations and simplify the reporting and administrative processes. The Casino Manager software is highly secure, customisable, expandable, and user friendly, contributing to the operational success of many online casinos. By using its proprietary technology, BetSoft achieves animated movie quality graphics and sounds. Apart from the team of dedicated developers, professional musicians and artists are also involved in the process of creating the refined games that players enjoy so much. The games can be enjoyed on flash based sites, in-browser, without downloading any software. BetSoft’s line-up of games is nothing short of impressive. 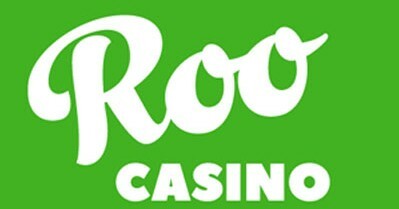 Hundreds of high quality classic slots, 3D slots, video slots, and table games entertain players from all over the world. Their 3D slots are grouped together under the name Slots3 and shattered their competition when they first appeared. The storylines, interesting themes, likeable characters and immersive graphics won the hearts of players, who were amazed by the cinematic animations that opened the games. Popular BetSoft 3D slots titles include Greedy Goblins, A Christmas Carol, Dr. Jekyll and Mr. Hyde, The True Sheriff, More Gold Diggin’, 2 Million B.C., A Night in Paris, and many more. Fans of classic slots can play titles such as Jackpot Jamba, Pharaoh King, The Ghouls, Royal Reels. Video poker fans can choose from over 20 video poker games like Deuces Wild, Joker Poker, Bonus Poker, Bonus Deuces, etc. The selection of table games includes American and European roulette, baccarat game, rummy, different blackjack and poker variations, as well as non-card games like craps. The realistic looking table games make the gaming experience so much more enjoyable. BetSoft’s ToGo line of mobile games brings popular desktop slots to your handheld device, retaining all the quality markers of the original desktop versions. ToGo games are optimised for Android, Windows Phone and iOS devices in a no-compromise manner bringing you the finest and best-in-class mobile games in the industry. Whether you’re a casino operator looking to provide your players a truly immersive online casino experience, or you you’re a player looking to have the most thrilling and captivating 3D gambling experience, BetSoft games should definitely be on your list!